On January 1, 2016, the International Atomic Energy Agency (IAEA) delivered its report to the United Nations Security Council confirming that Iran had taken a series of nuclear-related actions and transparency measures pursuant to the Joint Comprehensive Plan of Action (JCPOA). The advent of so-called “Implementation Day” under the JCPOA triggered the lifting of all UN Security Council sanctions as well as multilateral and national sanctions related to Iran’s nuclear program. The E3/EU+3 (China, France Germany, Russia, the United Kingdom, the United States, with the High Representative of the European Union) and Iran concluded the JCPOA on July 14, 2015. Subsequently, the UN Security Council endorsed the JCPOA through the unanimous adoption of Resolution 2231 on July 20, 2015. Given its role in the Security Council and E3/EU+3 (also referred to as the “P5+1”), China was critical to the accomplishment of this landmark initiative, which has implications for nonproliferation and international security. Additionally, as the world’s second largest economy and the largest export destination for Iranian oil, China serves as a critical lifeline to the Iranian economy and, thus, the stability of the Iranian regime. Beijing’s objection or non-participation would effectively undermine international efforts to sanction or isolate Tehran. This has been aptly demonstrated by Chinese behavior in relation to other Western-led efforts targeting “rogue” regimes. Iran ratified the Non-Proliferation Treaty (NPT) in 1970 and, as a non-nuclear-weapon state, concluded a comprehensive safeguards agreement with the IAEA. Such agreements enable the IAEA to uncover undeclared nuclear activities and any diversion of nuclear material for nuclear weapons. Beginning in 2002, information emerged, later investigated by the IAEA, of the existence of Iranian clandestine nuclear activity that violated Tehran’s safeguards agreement. In response, the United Kingdom, France, and Germany – the “E3” – initiated a diplomatic effort that resulted in Iran temporarily suspending nuclear-related activities, such as uranium enrichment, and signing an “Additional Protocol” to its safeguards agreement. In principle, Additional Protocols and related subsidiary arrangements would enhance the IAEA’s ability to investigate “undeclared” nuclear facilities. Tehran effectively renounced its prior commitments in January 2006 with the resumption of nuclear research and development. In February 2006, the IAEA referred the matter to the Security Council and Iran responded by refusing to implement its Additional Protocol. The major powers, as represented by the P5+1, then launched a fitful negotiation process with Iran to achieve a long-term comprehensive solution. To place pressure on Iran, the Security Council adopted six resolutions aimed at the country’s nuclear program: Resolutions 1696 (July 2006), 1737 (December 2006), 1747 (March 2007), 1803 (March 2008), 1835 (September 2008), and 1929 (June 2010). Collectively these resolutions require Iran to: (1) suspend specific nuclear activities – such as uranium enrichment and construction of a heavy water reactor; and (2) enable the IAEA to fully investigate its nuclear activities, including through final ratification of the Additional Protocol to the safeguards agreement. In addition to requiring action from Iran, the Security Council, through Resolutions 1737, 1747, 1803, and 1929, imposed a series of escalating sanctions. Resolution 1929 – described by the Congressional Research Service (CRS) as being the most “sweeping” – established or strengthened sanctions in the areas of nuclear technology and materials, arms sales, ballistic missiles, travel bans, shipping and air transportation, and financial services. According to Thomas Christensen, former Deputy Assistance Secretary of State for East Asian and Pacific affairs, China agreed to Resolution 1929 “only after watering them down to protect China’s economic interests and to reduce damage to Iran’s overall economy.” The tortured language of Resolution 1929 appears to support this conclusion. For instance, Resolution 1929 applies an asset freeze, previously established under Resolution 1737, to the Islamic Revolutionary Guard Corps (IRGC). The IRGC is Iran’s most powerful security and military organization, as well as the country’s most powerful economic actor – in sectors ranging from energy to construction, telecommunications to auto making, and even banking and finance. Thus, to compel Iranian compliance, freezing the IRGC’s assets makes sense. However, Resolution 1929 sends a mixed signal by establishing an incredibly permissive standard for continued business with the IRGC. States and their nationals are merely required to “exercise vigilance” when doing business with the IRGC. Moreover, that vigilance is only applicable if they have information that provides “reasonable grounds” to believe that such business could contribute to Iran’s proliferation-sensitive nuclear activities, the development of nuclear weapons delivery systems, or violations of the Security Council’s resolutions. When I asked the Iran negotiating team from the U.S. State Department’s Office of the Legal Adviser to characterize China’s role in drafting Security Council resolutions targeting Iran’s nuclear program, they politely declined to answer the question. Instead they cited the unanimity of the P5 as demonstrating a collective will for action. It may be safe to assume that the U.S. drafts called for stricter language regarding business transactions with the IRGC and avoided redundant restrictions on the tools available to enforce U.N. sanctions. Even if the Security Council sanctions were watered down, they provided a basis for global cooperation with new unilateral sanctions leveled by the United States and EU beginning in 2010. In particular, the United States imposed a web of “secondary” sanctions that primarily targeted third-country parties (non-U.S. persons) conducting business with Iran – including in the financial and banking, insurance, energy, and shipping sectors. China faced a number of competing impulses in response to U.S. sanctions. At a diplomatic level, China views U.S. extraterritorial application of secondary sanctions as being inconsistent with the principles of non-interference and exclusive sovereignty. More practically, China has a strong interest in protecting its deep and strategic economic ties with Iran from the impact of U.S. sanctions. On the other hand, Beijing likely recognized that non-cooperation with Washington could lead to a U.S. military intervention in Iran that could endanger China’s oil supply from the region. Moreover, non-compliance could limit the access of Chinese companies and financial institutions to the U.S.-led global financial and banking system. From the U.S. perspective, Washington faced the reality that Beijing’s participation in – not mere abstention from – economic sanctions was critical to their effectiveness. Moreover, the United States recognized the importance of Iranian oil to the economy and security of China. Therefore, the United States could not exercise a rigid approach or else the Chinese exception would swallow the rule. This dynamic is evidenced in the application of U.S. sanctions against Iran under the 2012 National Defense Authorization Act (NDAA). Section 1245 of the NDAA specifically targets the Iranian banking sector. The president is required to block the property and interests in property subject to U.S. jurisdiction of all Iranian financial institutions, including Iran’s Central Bank. The law also aimed to reduce Iranian oil revenues and discourage transactions with Iran’s Central Bank by providing for sanctions on foreign financial institutions that knowingly conduct or facilitate certain significant financial transactions with the bank. At the same time, the United States provided flexibility in this new sanction regime. Beginning in 2012 the U.S. Department of State began consistently issuing bi-annual exemptions to China from sanctions under the NDAA based on its determination that China had ‘‘significantly reduced’’ imports of Iranian oil. As the CRS reported, China in fact decreased purchases of Iranian oil in 2012-2013 to about 435,000 barrels per day from its 2011 average of 550,000 barrels per day. China appears to have satisfied its strategic need for Iranian oil while adjusting to changes in the U.S. sanction regime and ongoing diplomatic efforts by the P5+1. After temporarily declining in 2012–13, Chinese oil imports from Iran rose in 2014 and 2015 to their highest levels ever, according to Michael Singh of The Washington Institute. China’s record purchases of Iranian oil notably coincided with the U.S. pausing its efforts to reduce Iran’s oil sales, including waiving sanctions under Section 1245 of the NDAA as part of the Joint Plan of Action (JPOA). China may not have walked the extra mile to isolate Iran, but it took a few steps forward, and U.S. sanctions hit their mark. U.S. Treasury Secretary Jack Lew testified on Capitol Hill that U.S. sanctions resulted in cutting Iran’s oil exports by 60 percent, effectively isolating Iran’s Central Bank, dropping Iran’s currency (the rial) by 50 percent, and increasing the inflation rate by 40 percent. At the time of the JCPOA’s signing, Secretary Lew found that Iran’s economy was approximately 20 percent smaller than it would have been had Iran remained on its pre-2012 growth trajectory. The JCPOA is a political deal – not a legal agreement – based on a series of reciprocal actions taken by Iran and the P5+1. Enforcement of Iranian commitments is achieved through the threat of “snapping back” U.N. sanctions following a unique dispute resolution process set forth in the JCPOA and Resolution 2231. First, any of the JCPOA participants (any P5+1 state, in the case of an Iranian violation) can instigate a dispute resolution process. If the issue is not resolved to the satisfaction of the complaining state, then that state could treat the unresolved issue as grounds for ceasing performance under the JCPOA. Thus, for example, if the complaining state were the United States, then Washington could seek to re-impose previously lifted secondary sanctions if its concerns were not satisfied. Through the “snap back” mechanism, the Security Council has effectively delegated sanctioning authority to the E3/EU+3, which includes Germany (not a member of the P5). The re-imposition of U.N. sanctions is not subject to a veto by any of the P5. Notably, the Security Council has “primary” but not sole “responsibility” for maintaining “international peace and security” under U.N. Charter, Article 24. Still, the fact that China and other permanent members agreed to this elastic approach to the Security Council’s authority is remarkable. The credibility of JCPOA’s enforcement relies on global cooperation with “snapped back” sanctions, U.N. or national measures. It is questionable whether countries with vested economic interests in Iran, such as China, have the appetite for another round of sanctions, particular given sluggish growth across the globe. The “snapping back” of sanctions would not have retroactive effect, but there is also no “grandfathering” of contracts signed between any party and Iran. Would China agree to roll back the $600 billion trade deal inked following the lifting of sanctions under the JCPOA? The Iran nuclear deal is an important precedent in multilateral efforts to address global challenges like nuclear proliferation. China played a pivotal role throughout the decade-long process and China will continue to be a critical player in the maintenance of the JCPOA in the decade to follow. Therefore, it is worth reviewing some key characteristics of the political settlement as influenced by China’s participation. First, the threat of Iran’s clandestine nuclear program to international security, Tehran’s egregious violation of international commitments, and a global consensus on these issues presented a compelling basis for Chinese cooperation with Western-led efforts to isolate Iran. 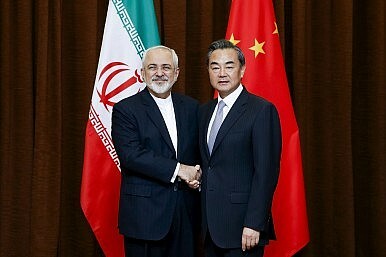 No doubt the extended time and institutionalized process afforded to Iran further aided Beijing’s decision-making. It is unclear that China would have supported a similar effort if the threat was diffuse, the violation not egregious, or if the major powers were splintered. Second, even if the above condition is met, China may limit Security Council resolutions to preserve its narrow strategic and economic interests. Every state, of course, may be expected to pursue its self-interests. Acknowledging these interests is key to achieving “buy in” for any multilateral solution. In terms of economic sanctions that directly impact China’s economy, Security Council resolutions may ultimately serve a limited coordinating role for more effective and comprehensive national-level measures. Third, China’s cooperation on economic sanctions, even if restrained, can achieve results. Simply put, China’s economy is too large to be an exception to any international sanction regime, particularly targeting energy exports. In turn, a slight modification in Chinese behavior can have an immense impact on its trading partners. The U.S. must strengthen its indispensable role in the global financial and banking system in order to induce future Chinese cooperation on issues like North Korea’s nuclear program. Fourth, China has demonstrated an openness to creative approaches to traditional Security Council responsibilities, but you probably can’t “force” it. The role of the E3/EU+3 and dynamic of the “snap back” mechanism suggests that major powers outside of the P5 like Germany can play material institutional roles in maintaining international peace and security. On the other hand, the U.N. sanctions were only economic in nature (Article 41) and provide no basis for the use of force (or delegated authority to the E3/EU+3 on the use of force). And Germany is not China. In addition, China is more likely to exercise its veto on use of force issues, especially following the acrimony at the Security Council caused by Resolution 1973 (March 2011) and the NATO intervention in Libya. Finally, and perhaps most interestingly, the Iran nuclear deal is an ongoing bargain in which China has a large stake. The JCPOA sets forth a series of continuing obligations and milestones leading to the termination of Resolution 2231 in a decade. There will be plenty of opportunities for success or failure along the way. Thus, the Iran nuclear deal may provide an answer to a question once posed by Robert Zoellick: Will China work to sustain the international system that sustains its growing prosperity? Roncevert Ganan Almond is a partner at The Wicks Group, based in Washington, D.C. He has advised the U.S.-China Economic and Security Review Commission and counseled government authorities in Asia, Europe, the Middle East, Africa, and Latin America on issues of international law. The views expressed here are strictly his own.